Learning Matters sponsors internationally accredited Feldenkrais® Teacher Training Programs and educational seminars that explore and facilitate learning. 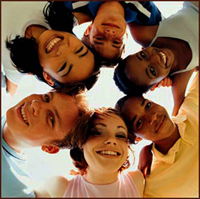 We are committed to facilitating increased knowledge and scope of practice, in human development and learning. We make personal and professional development available to teachers and practitioners in the health services fields as well as to interested others. Alice Friedman comes to the practice of the Feldenkrais Method® with a background as a psychologist and dancer. She did her graduate work at Columbia University in the areas of developmental and social psychology and worked with developmentally delayed and autistic children. Alice moved to Canada and aside from continuing to teach dance and choreograph for community theatre, she established programs for children and families, established a private practice and with her husband, designed and built their own home and gardens. Her interest in learning, movement and human development led her to a Feldenkrais training program in San Rafael California, from which she graduated in 1987. It led her, as well, to study other modalities such as Ericsonian hypnosis, the trauma recovery work of Peter Levine and others, meditation, Cranial Sacral Therapy and intensive reading in development. For 20 years she has continued to refine and develop her skills to facilitate her own and her clients' awareness and function and maintains an active private practice on Salt Spring Island where she lives, and in Victoria. Alice practices in her office 250-537-2343 in Ganges on Salt Spring Island and In Victoria at Greenspirit, 1822 Oak Bay Avenue, 250-519-1030. Please call to arrange for private Functional Integration lessons. An Assistant Trainer since 1995 she brings her experience of two decades of private practice, public and advanced workshops and exuberance to training programs. She has taught in training programs in Hawaii, the mainland United States and Canada. This is the second training program she has organized in Victoria with the vision of creating a vibrant community of skilled practitioners. When not working, Alice likes to hike, garden and take photographs. The Feldenkrais Method is one of the most efficient ways of discovering new patterns and adapting old ones. It has applications and benefits for people with neuromuscular difficulties, chronic pain, and those who have experienced traumatic events as well as dancers, musicians and athletes. It is appropriate for all those wishing to expand their possibilities. Because the method can be useful to people in many situations, students in Feldenkrais trainings come from many walks of life—that is, from healthcare, arts, science, law, business, education, and parenting. Many will blend the Feldenkrais Method with their field of expertise, while others will use this training to begin a new professional life. Whatever the motivation, all will benefit greatly—both personally and professionally — from this training. The Feldenkrais Method is fundamentally about our ability to learn. It offers a unique and comprehensive way to examine and change habitual patterns. The ways in which we usually think, sense, feel and move are often self-limiting or damaging. They no longer meet our current needs. You may have noticed this yourself. Injure yourself in the same areas over and over? Always get a stiff neck or shoulder on the same side? Have soreness from sitting or getting up from sitting? Have your tennis or golf ball go awry in the same direction every time? Have a repetitive tension pattern? 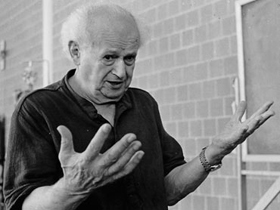 Based on the work of Israeli physicist, engineer and martial arts master Moshe Feldenkrais (1904-1984), the Feldenkrais Method is grounded in anatomy, physiology and physics. It is also informed by the latest research into movement and human development. Feldenkrais brings these disciplines together to help us learn how to learn. Ordinarily, we learn just enough to get by. In the Feldenkrais Method you learn from your own unique ways of moving. As you become more aware of how you actually do all that you do, how you sense, act, think and feel, you gain a greater range of ease and skill. With Feldenkrais you empower yourself by asking and learning how to answer a simple question: Is there an better way to do this? As you learn to expand and refine your range of movement, you move through your daily life with greater efficiency, ease and co-ordination and much less effort. You also remove major sources of chronic tension and pain. In Awareness Through Movement, the Feldenkrais teacher gives instructions verbally, generally to a group of people lying or sitting on the floor. Each lesson consists of precisely structured movement sequences that enable students to create new movement skills or improve existing ones. Students start with comfortable, easy movements, often based on simple activities like standing, sitting and reaching. From there you go on to gradually explore increasingly complex movements and skills. There are hundreds of Awareness Through Movement lessons, of varying difficulty and complexity, for people at all levels of movement ability. Over time you will discover an increasing ease in forming intentions and acting upon them - what once seemed impossible often becomes routine. The process is gradual and supportive to ensure successful learning. Eventually, the lessons can be done alone, gradually building self-sufficiency and independence. ATM lessons are fun to do, instill a feeling of well-being and are always new. You use slow gentle movements, avoiding pain and strain. You focus on the process of learning and doing, rather than on reaching a goal. You direct awareness toward perceiving inter-connected patterns in how you move. You find your own way, at your own pace, with each lesson. In Functional Integration the Feldenkrais teacher creates a movement lesson custom-tailored to the unique needs of each person. Each lesson relates to a desire, intention or need you bring to that moment. As in Awareness Through Movement, teachers give you verbal cues and instructions. In a Functional Integration lesson the teacher also guides you through movement sequences with gentle, non-invasive touch. This communication enables you to experience and learn new sensory configurations and motor organization. You then learn to recreate these new sensory and motor patterns for yourself, gaining more freedom of choice and action. Functional Integration is performed with the student fully clothed, usually lying on a low Feldenkrais table or in standing or sitting positions. The lesson is carried out without the use of any invasive or forceful procedure. Unlike, for example, massage or chiropractic, Functional Integration is not a curative process. Touch is used to communicate movement so that after the lesson you learn to do a new movement or an old one with more ease and greater awareness. Functional Integration lessons are an intimate, and often delightful, process of self-discovery. Anyone young or old, physically challenged or physically fit can benefit from the Feldenkrais Method's gentle lessons. Feldenkrais can help you recover your full range of movement after an injury or trauma. It can help you with chronic or acute pain of the back, neck, shoulder, hip, legs or knee. The Method can also help people dealing with central nervous system conditions like multiple sclerosis, cerebral palsy and stroke. The benefits of the Feldenkrais Method are not limited to repairing or mending our bodies. If you're already reasonably healthy, you can learn how to move with even greater ease, relax more deeply and increase your overall sense of vitality. If you're a musician, actor, artist or athlete, the Feldenkrais Method can help you extend and refine your abilities and enhance creativity. It's helped many run, sing or dance with more ease, grace and flexibility. Many Seniors enjoy using Feldenkrais to keep or regain their ability to move without strain or discomfort. If you want to be more comfortable at work, whether that's sitting at a computer or hammering at a construction site, the Feldenkrais Method can help you. If you've given up a favourite activity you used to enjoy whether it's running or gardening, tennis or golf the Feldenkrais Method can help you learn an easier, pain-free way to do it. Once you've learned to move with less effort, you'll notice every aspect of daily life becoming easier, more centered and more deeply balanced. the creative force and inspiration for the method, was born in what is now Ukraine. At 13 he left and traveled alone to Palestine. In his mid twenties he went to France where he earned degrees in Mechanical and Electrical Engineering from the Ecole Polytechnic and later his Doctor of Science in physics from the Sorbonne. In Paris he assisted Nobel Prize winner Joliot-Curie in early nuclear research. Here he also met Jigaro Kano the creator of modern judo and became one of Europe's first black belts (1936). He continued to develop expertise in judo , was co-founder of the Judo Society of France and taught and wrote books on the subject. He escaped from Paris to Great Britain in 1940 and worked for the British Admiralty in anti-submarine warfare. During this time he continued his studies in psychology, anatomy and the burgeoning field of neurophysiology. Dr Feldenkrais applied his knowledge and understanding from these disciplines to himself to address his severe knee injuries from athletic injuries and recovered his ability to walk and function without pain. In 1949 he returned to Israel where he continued his in depth explorations in these areas and his work with himself and others, eventually refining and integrated them. And so the Feldenkrais Method® was born. He began teaching his system to others in Israel in the late 1960s and then in San Francisco in 1975. Today there are over 6000 Feldenkrais Practitioners around the world. His insights continue to contribute to the fields of education, the arts, athletics, psychology and child development as well as rehabilitation. Among his writings are: Judo; Higher Judo; Body and Mature Behavior; Awareness Through Movement; The Elusive Obvious; The Master Moves; Adventures in the Jungle of the Brain (The Case of Nora); and The Potent Self.